Last month on the train, returning to Glen Ellyn from Chicago, I might have been the only passenger reading a book and not fiddling with a smart phone. I love this book. In fact, I couldn’t wait for the train ride home so that I could get back to it. If you enjoy a little history with your suet cake, “Feeding Wild Birds in America” is definitely for you. But the book is much more than a historical account of a massively popular hobby. It may just inspire you to up your game in the backyard. Bird-feeding is the ideal home-based pastime in many ways, and more than 50 million of us do it. It’s calming and brings us closer to nature. It’s easy and relatively inexpensive. It’s interesting during all four seasons. It’s a great teaching tool for children. I like that people with mobility issues can enjoy bird-feeding, too. Those who must stay inside or at home can still watch the birds and feel connected to the outdoors. Until “Feeding Wild Birds in America” came along, I never gave much thought to the hobby’s evolution. Modern bird-feeding is rooted in the late 1800s but many of the backyard innovations we now take for granted, like tube feeders, are less than 50 years old. Bird-feeding was initially a winter-only activity. 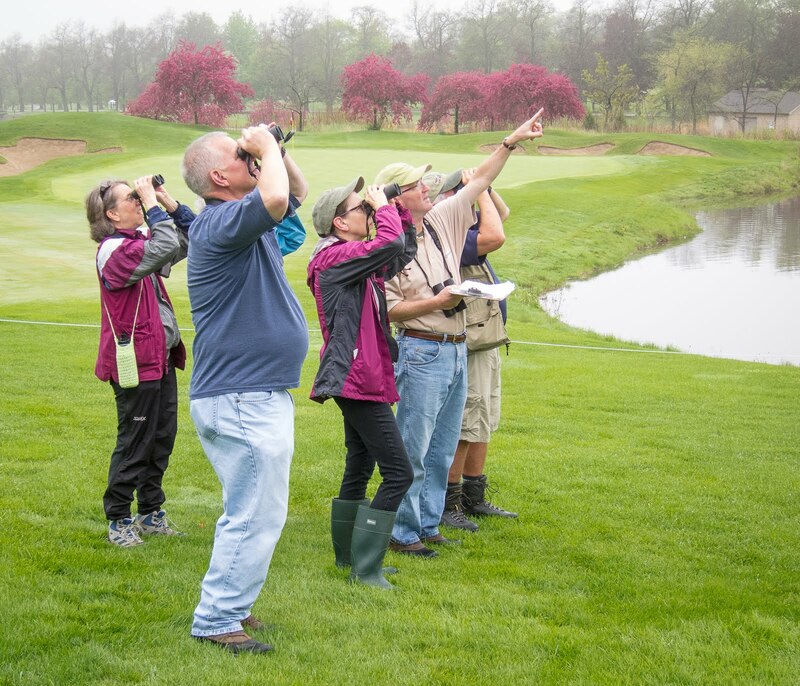 The emphasis was on helping birds survive, not so much on watching them. Early studies identified the economic value of birds, especially on farms. Community feeding stations in public places were common. In backyards, pieces of fat and meat bones were tied to tree branches. Sweepings from the barn were scattered on the ground. Feeding devices were homemade, the most common being a wooden tray nailed to the window sill. Assorted table scraps were set out. One of my favorite tactics from yesteryear was the “food tree.” As the book describes, various seeds, berries and ant eggs were mixed with melted animal fat. The hot, sticky concoction was then ladled onto the branches of an evergreen. Birds couldn’t resist it. My neighbors needn’t worry; I am not planning a food tree of my own. I have a simple and less messy backyard routine that works just fine. My usual set-up consists of a double shepherd’s hook with two small tube feeders—one for black-oil sunflower seeds, one for shelled peanuts. For the finches, a tube of Nyjer hangs by the patio. Sugar water fuels the hummingbirds from May to early October. A ground-level birdbath, cleaned daily and heated in winter, completes the circuit. Yards with even more food variety than mine are common, and that’s a big change from 100 years ago. Our approach to bird feeding today is a lot more calculated. We know far more about how to attract specific birds. Wild bird feeding stores, garden centers and hardware stores cater to backyard birders with a mind-boggling array of feeder and food choices. It’s big business all year long. “Feeding Wild Birds in America” covers all this, and I enjoyed learning about the companies that produce the products we buy. Every kind of food and feeder has a back story. The one about black-oil sunflower seed, the most popular wild bird food today, is particularly fascinating. “Black oilers” were not even marketed in the U.S. until the 1970s. Another sidebar—the book is loaded with good ones—offers advice on what to do if a rarity visits your feeders. You have the option of doing nothing, of course, but it’s nice to share your good fortune with others. If you do, have a guest book ready and prepare to make a lot of new friends. In 18 years, I haven’t spotted anything truly “rare” at my feeders but I’ve had a few unusual one-time visitors. Common redpolls (2009) and a lone tufted titmouse (2012) were among them. “Feeding Wild Birds” notes that only about 10 percent of our wild bird species visit feeders. A check of my yard list reveals that out of the 114 species recorded so far, 43 were attracted by my handouts, including fresh water. The others were foraging in trees, shrubs and leaf litter, or just flying over. Some of the most important pages in “Feeding Wild Birds” are devoted to best bird-feeding practices. Follow these guidelines and the volume of birds at your feeding stations could easily double: offer food and water all year around; offer multiple foods in multiple feeders; provide protection from bird predators; and keep your feeders, feeding areas and bird baths clean. Being a good steward won’t guarantee a yard full of rare birds. But would you mind hosting twice as many cardinals, blue jays, chickadees and goldfinches? Almost anywhere, it’s a realistic goal. 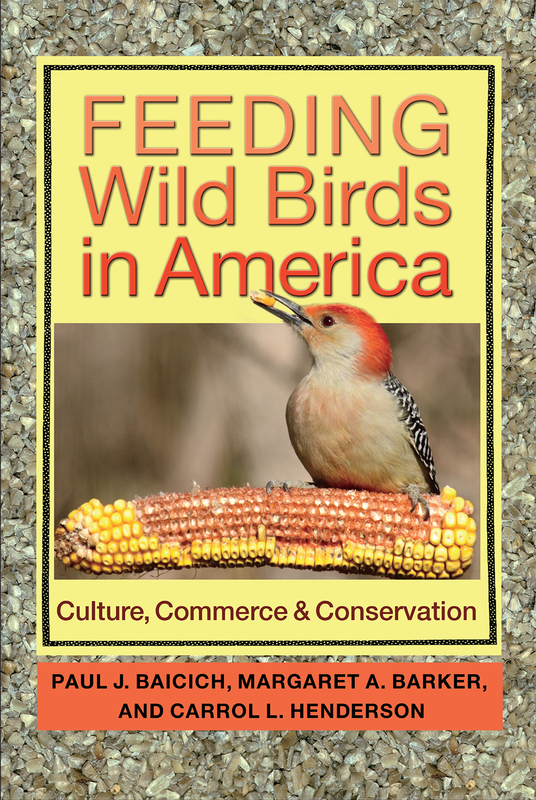 “Feeding Wild Birds in America,” published this year by Texas A&M University Press, retails for $27.95. The book’s coauthors are Paul J. Baicich, Margaret A. Barker and Carrol L. Henderson. There are plenty of good books on bird-feeding but this one stands out for offering a historical perspective that is both interesting and relevant for birders today. My next trip to the feed store will be a lot better informed.